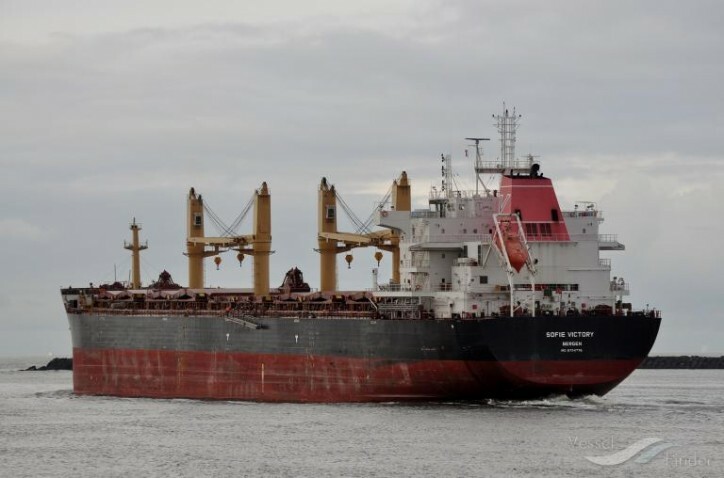 Belships ASA (OSE: BEL) has entered into an agreement to acquire the 63,000 dwt bulk carrier M/V Sofie Victory. The Ultramax vessel was built at New Times Shipbuilding, China in 2016. Belships will acquire all shares in the single purpose company Sofie Victory AS, being the owner of M/V Sofie Victory. Sellers are the Bergen, Norway based company EGD Ultra Eco AS (holding 80 per cent of the shares in Sofie Victory AS) and Cyprus based Blossom Shipmanagement Ltd (holding 20 per cent of the shares in Sofie Victory AS). EGD Ultra Eco AS is ultimately controlled by investor Espen Galtung Døsvig. The agreed purchase price is USD 24.15 million, of which approximately USD 14 million is debt. Of the net consideration of approximately USD 10 million, USD 2.0 million will be paid in cash while the remaining amount will be settled through a proposed issue of new Belships shares to the sellers of Sofie Victory AS. The agreed share price in the transaction is NOK 7.00 per share. The Vessel is time chartered to ED&F Man Shipping Ltd until March 2021 at an index based rate with a minimum floor above current market levels. The acquisition is expected to be completed by the end of the second quarter 2019. Following the transaction, the Belships fleet will count 17 Supramax/Ultramax bulk carriers. Furthermore, Belships will take delivery of a newbuilding in the first half of 2020. Belships' strategy going forward is to grow accretively as a fully integrated shipowner and operator of geared bulk carriers. The acquisition of Sofie Victory and the proposed share issue will, in accordance with Belships' shareholder strategy, further expand Belships' shareholder base and improve share liquidity.